Carol’s Café in Prattville is the place to be for the upcoming International Passport Dinner and silent auction, Friday, Aug. 17, from 5 p.m. to 9 p.m. This fourth annual fundraising dinner benefits the Almanor Basin Food Pantry in Chester, and features an international five-course dinner at Carol’s Cafe in Prattville on the lake. Reservations are NOT needed. 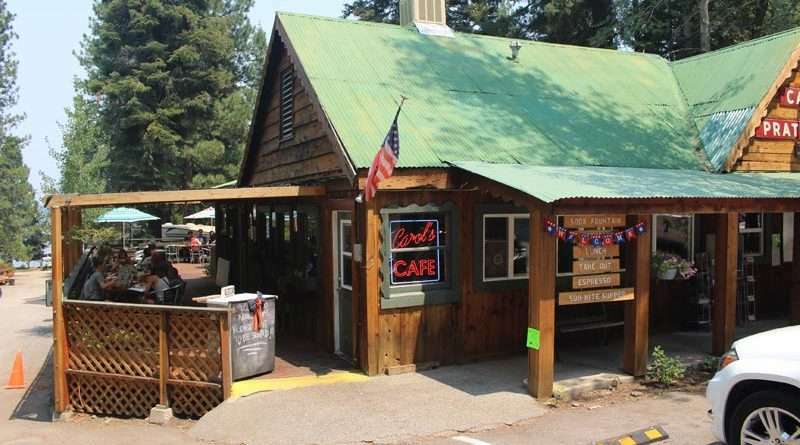 “Passport” (dinner tickets) can be purchased now for the ABFP fundraising dinner at Carol’s Café, 2932 Almanor Drive West in Canyon Dam, by credit card, check or cash by calling 259-2464. Tickets are also available at B & B Booksellers, 278 Main St., by cash or check only. Call 258-2150. Tickets are also available at the Coffee Station, 192 Main St., by-cash or check only. Call 259-2464. For a donation of $60 per couple or $35 per individual, each person will receive a passport that includes the dinner, live music and an opportunity to participate in the silent auction. The silent auction begins at 5 p.m. and continues until 9 p.m. Hosted by Carol Franchetti and her staff, everything is being donated from all the food, preparation, and service. The international menu includes an appetizer from Greece: parmesan polenta with roasted pepper salad topped with seared shrimp; Tuscan bean soup from Italy in rustic bread bowl; Chinese lentil and noodle salad; chicken and chorizo paella from Spain; and chocolate mousse with raspberry sauce from the U.S.
All attendees MUST bring their “passports” to take a world tour of the international cuisine being provided. No exceptions! The pantry’s board of directors expects this dinner and silent auction to be a unique and pleasurable culinary experience for all, and look forward to seeing the community at large participating in the fundraiser. Monetary donations for the Almanor Basin Food Pantry can be made out to: ABFP, P.O. Box 1445, Chester, CA 96020. The pantry, located at 386A Main St., Chester (formerly Mt. Methodist Church Child Care Center) is open 0n the first and third Saturday of the month, from 9:30 a.m. to 11:30 a.m.
For more information about the International Passport Dinner and silent auction call Pam Mashburn, board president at 284-1304.